Dr. George C. Shiepis, D.C. I attended GlenOak High School and graduated in 1979. I then attended Malone College for 2 years, and Walsh College for an additional 2 years, majoring in pre-medical studies, prior to being accepted to Cleveland Chiropractic College in Kansas City, Missouri. I received my Doctor of Chiropractic Degree in December of 1986. Furthering my studies in Kansas City, I completed clinical courses in human nutrition at Park College. I received my Ohio State Licensure in March of 1988. 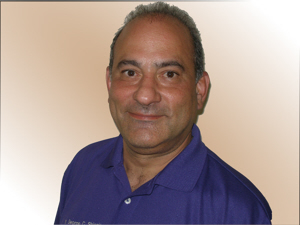 I am certified in injury prevention and consulting to the industry. I am also certified in manipulation under anesthesia. I speak the Greek language fluently and attend St. George Greek Orthodox Church in Massillon, Ohio. 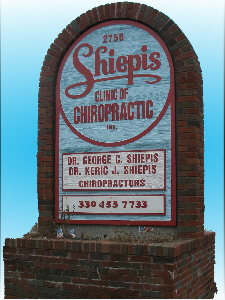 I also have worked with Tri-County area Chiropractors in Ohio, prior to the opening of the Shiepis Clinic of Chiropractic. I attended GlenOak High School and graduated in 1983. I then attended Walsh College for 2 years, majoring in pre-medical studies, prior to being accepted to Cleveland Chiropractic College in Kansas City, Missouri. I received my Doctor of Chiropractic Degree in February of 1988. Furthering my studies in Kansas City, I completed clinical courses in human nutrition at Park College and was awarded a Bachelor of Science in Nutrition. I also have completed post-graduate studies in clinical neurology and am board eligible in neurology. I received my Ohio State Licensure in September of 1988. I speak Greek as a second language and attend St. Haralambos Greek Orthodox Church, in Canton, where I serve as a Deacon. I went to Dalton High School and graduated in 1996. I attended a vocational school from 1994-1996 and received a certification in Medical/Dental assisting. I went to the Ohio College of Massotherapy in Akron Ohio from 1997-1999. 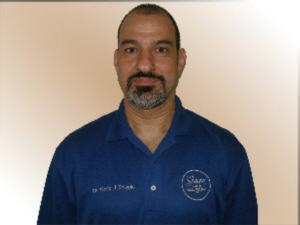 I received my Massage license from the Ohio Sate Medical Board in July 1999. I also have a general machine operator’s license to perform x-rays. 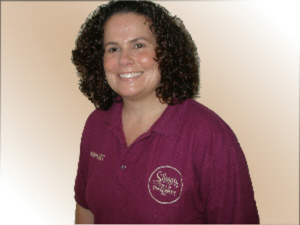 I have been employed with Shiepis Clinic since May 2002. I currently do massage therapy and help as a Chiropractic Assistant. I graduated from Clay High School, in South Bend Indiana, in 1980. I enlisted in the United States Army in 1981 where I went to school to work as a Personnel Management Specialist. I served a total of 6 years active/reserve duty. I am married and have two grown children and one grandchild. 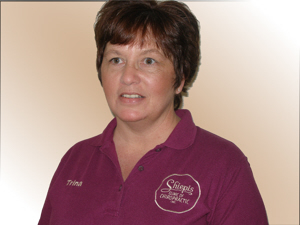 I have been employed by Shiepis Clinic since 2001 as the Office Manager.